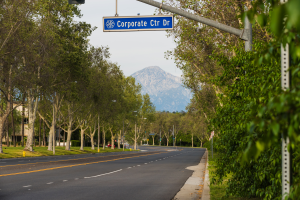 RKA Consulting Group recently provided professional design engineering, construction engineering, and construction management services for the rehabilitation of South Campus Drive from Temple Avenue to Ridgeway Street in the City of Pomona, California. The existing roadway pavement had deteriorated as a result of an original design for low traffic volumes versus heavy traffic volumes due to the expanding adjacent California State University, Pomona. With nearly 10 acres of asphalt surface and poor pavement conditions, the project involved the rehabilitation of the existing failed pavement through the Full Depth Reclamation (FDR) process. A critical component of this project involved the incorporation of strict permitting requirements and design stipulations due to the combination of local, private, county, and federal funds used to finance the rehabilitation project. The coordination amongst all of the affected agencies and project proponents was vital in order to effectively implement directives from conceptual to final design plans. Constructability reviews were internally conducted which resulted in additional outreach efforts with other agencies, such as transit services, to ensure that the proposed arrangements were feasible during the construction phase operations.